Steves came to his conclusion by pouring over the company’s latest earnings report. 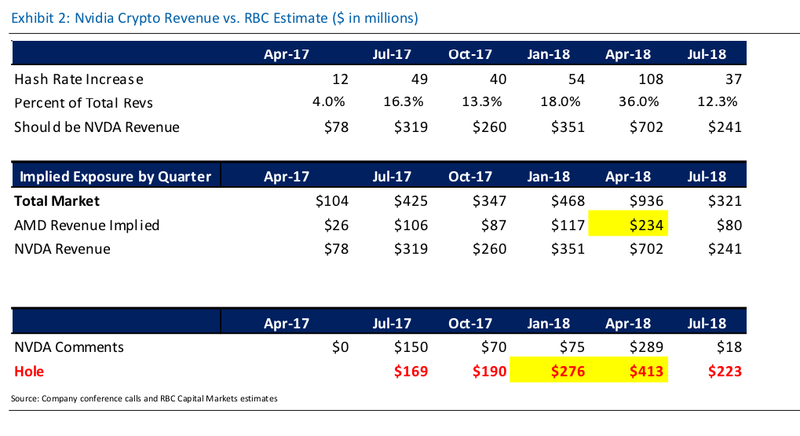 Nvidia‘s crypto problem is bigger than it admits, an RBC analyst says after crunching the numbers. Steves said that AMD’s recent earnings release added another piece of evidence that Nvidia’s exposure to crypto should be higher than it revealed. „While Nvidia and AMD have suggested that the crypto currency overhang will be a one quarter issue, we think it is more likely a two quarter issue given new market dynamics,“ Steves said in November. 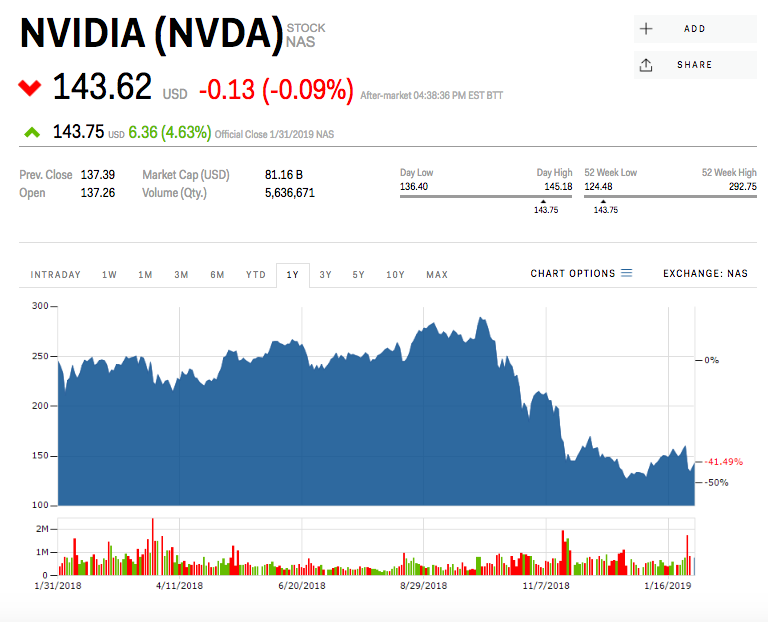 Based on jis calculation of Nvidia’s historical crypto revenue, Steves lowered his price target for Nvidia from $200 to $180 and noted that the company’s revenue will bottom in the second quarter.